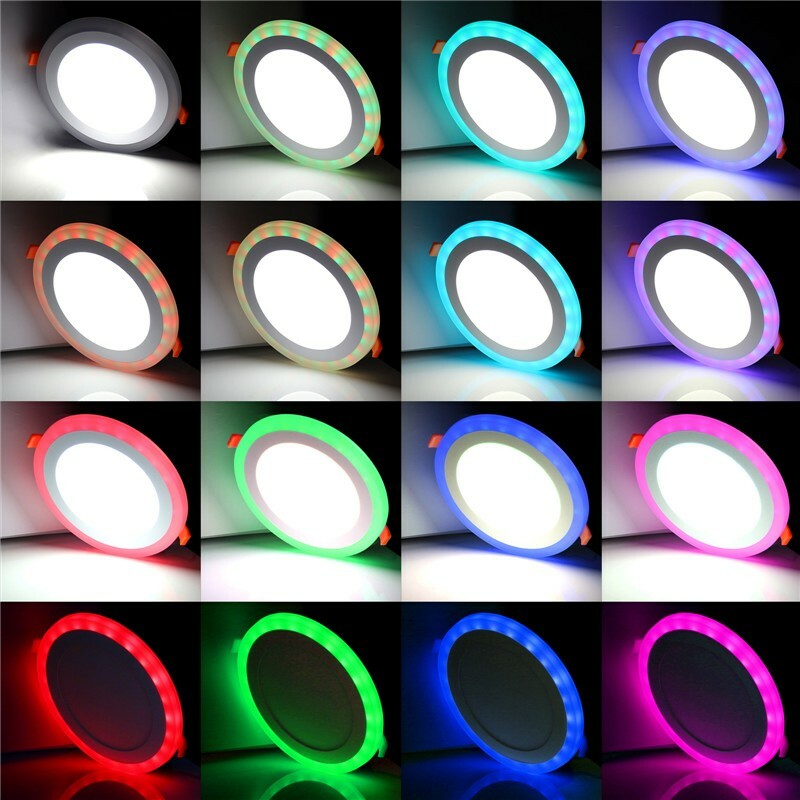 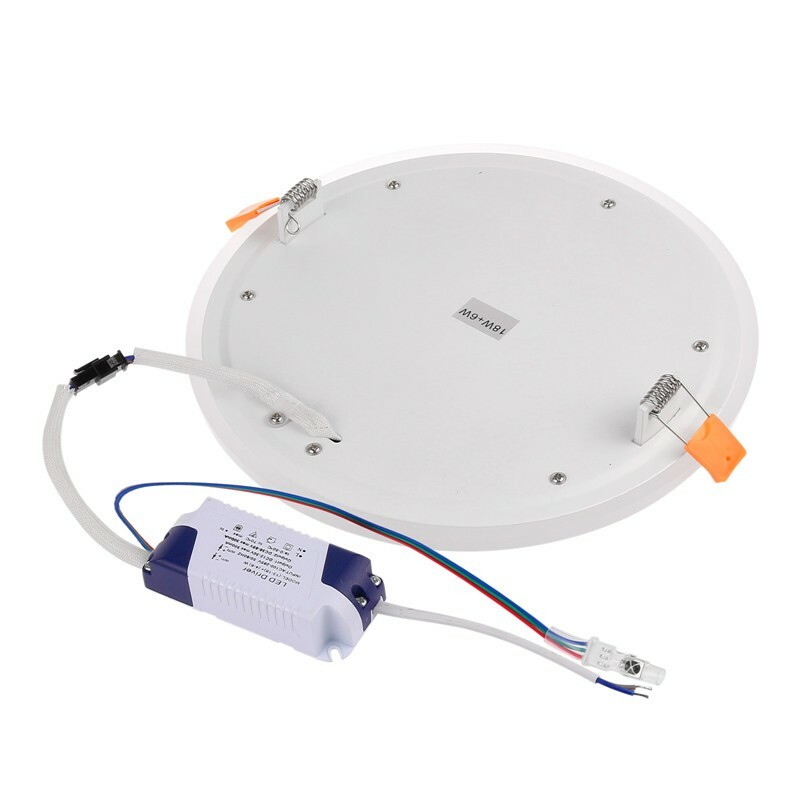 Ultra slim round concealed dual color RGB LED panel light. 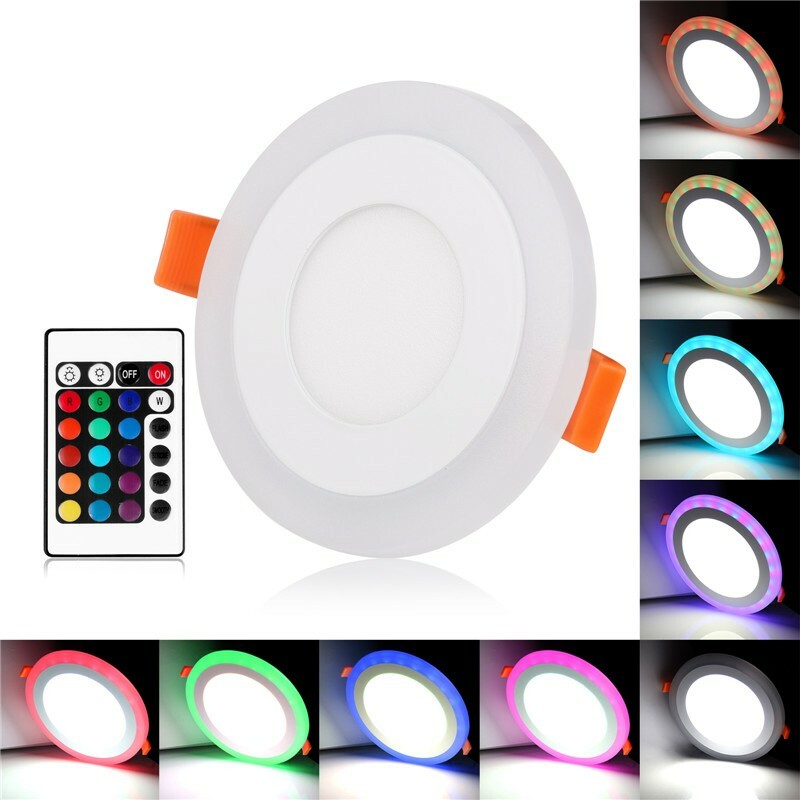 Multi light mode: Inside light on, outside light on, dual light on, outside single color change, outside light fade, outside light flash, brightness adjust. 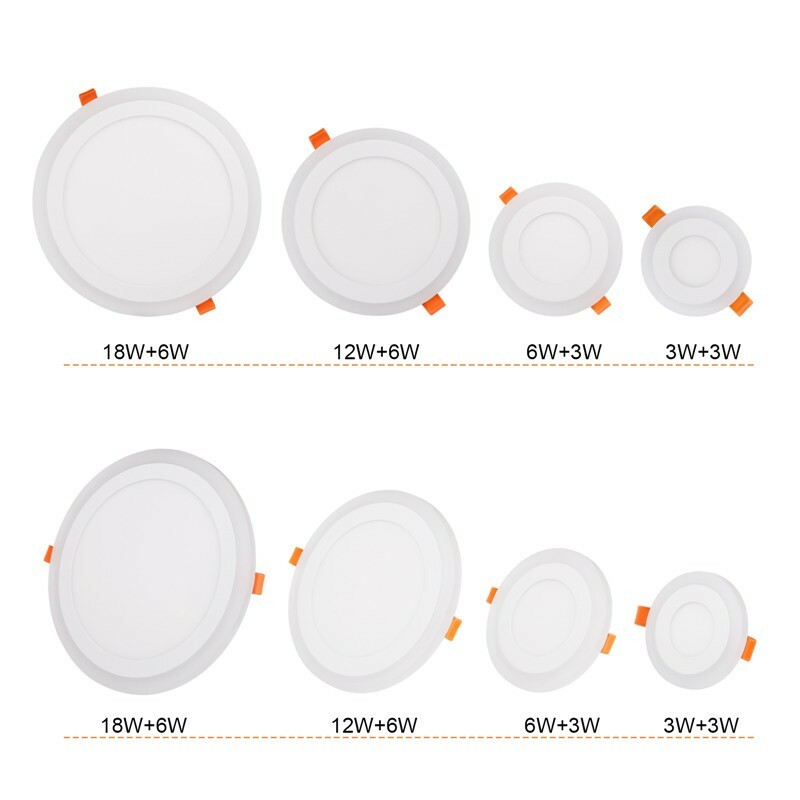 Long life span more than 30,000hrs. 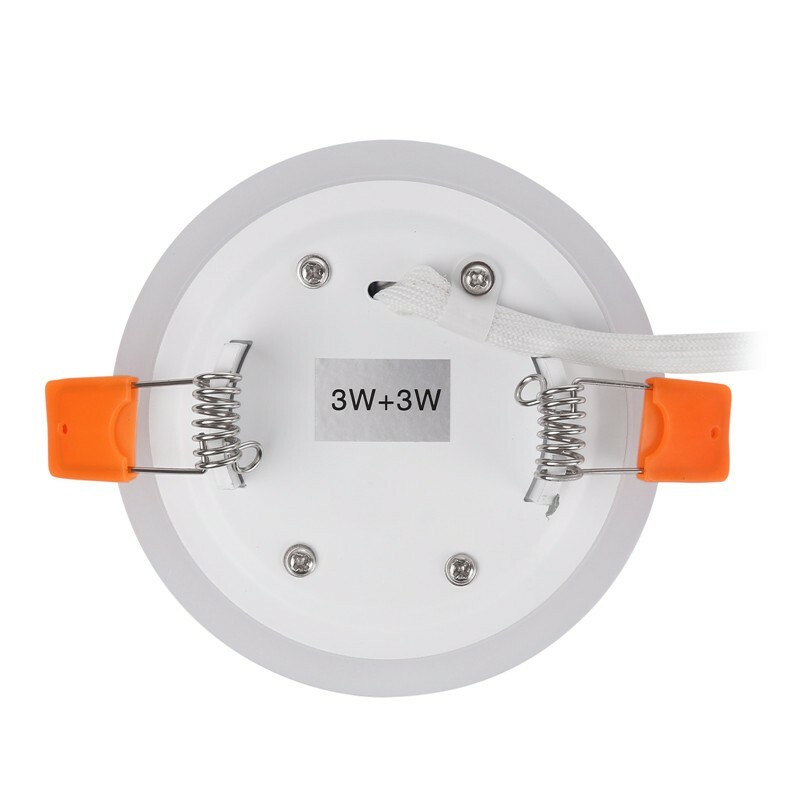 Applications: landscape lighting / architectural lighting / entertainment lighting / restaurants / hotels/ ambient lighting / art galleries. 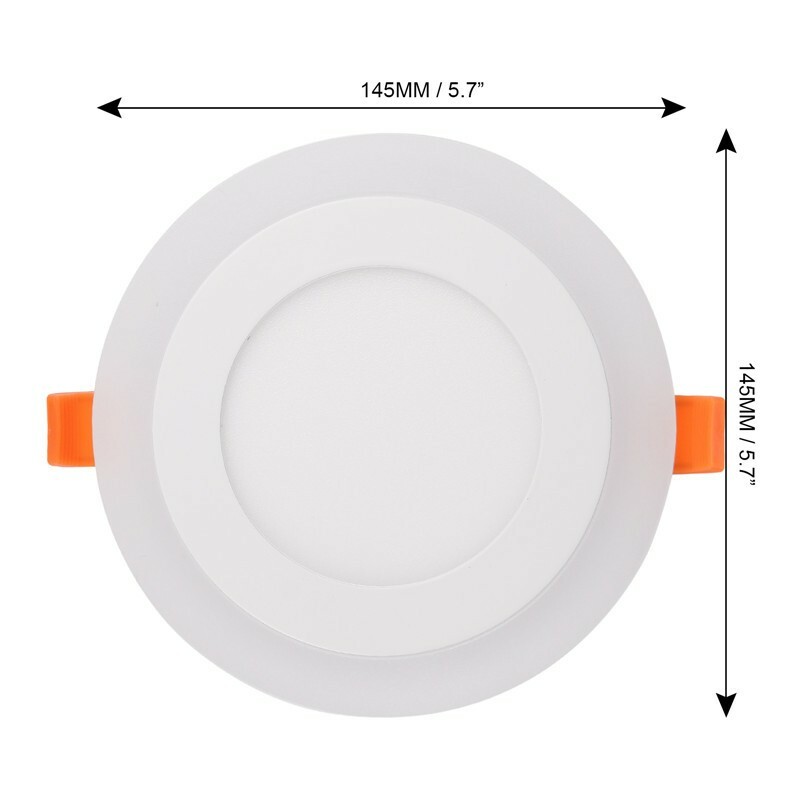 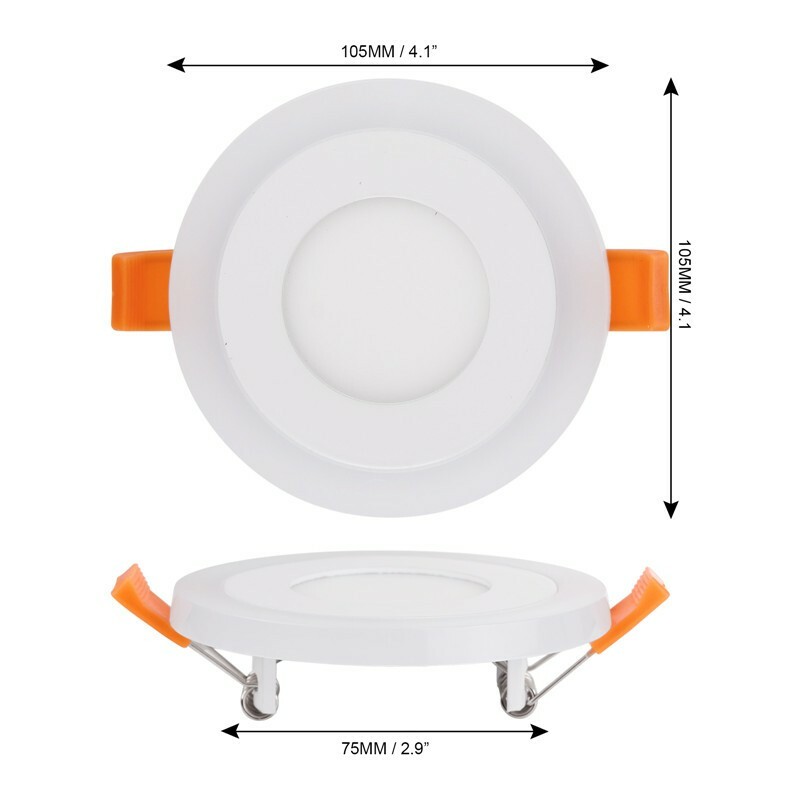 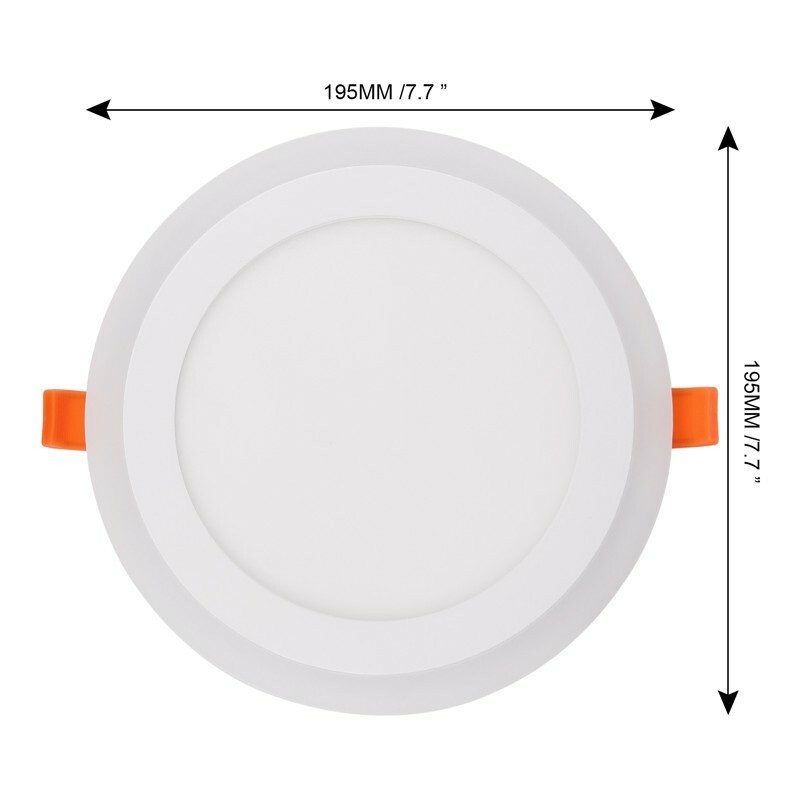 Super bright white inside light + soft outside light, perfect for meeting room, store, super market, office, store, exhibition, dance halls, bars, kitchen, parlor, bedroom use and other lighting and decoration. 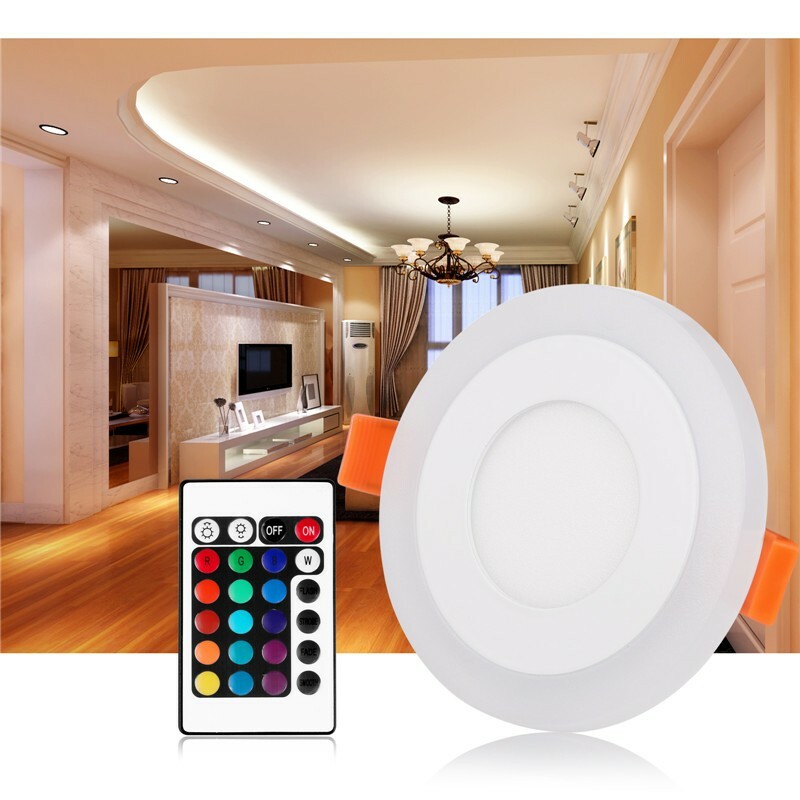 Mode:Inside light on, outside light on, dual light on, outside single color change, outside light fade, outside light flash, brightness adjust. 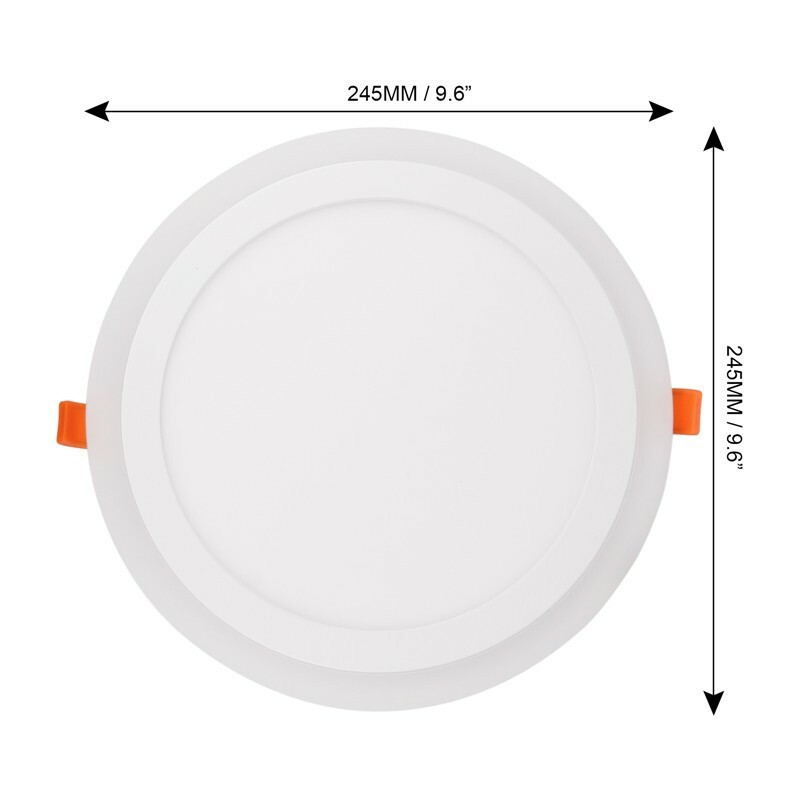 Instructions: The light mode can be adjusted by remote control or by switching power on/off.